Anna Karenina (sometimes Anglicised as Anna Karenin) is a novel by the Russian writer Leo Tolstoy, published in serial installments from 1873 to 1877 in the periodical The Russian Messenger. Tolstoy clashed with its editor Mikhail Katkov over issues that arose in the final installment; therefore, the novel's first complete appearance was in book form. Widely regarded as a pinnacle in realist fiction, Tolstoy considered Anna Karenina his first true novel, when he came to consider War and Peace to be more than a novel. The character of Anna was likely inspired, in part, by Maria Hartung (Russian spelling Maria Gartung, 1832-1919), the elder daughter of the Russian poet Alexander Pushkin. Soon after meeting her at dinner, Tolstoy began reading Pushkin's prose and once had a fleeting daydream of "a bare exquisite aristocratic elbow," which proved to be the first intimation of Anna's character. Although Russian critics dismissed the novel on its publication as a "trifling romance of high life," Fyodor Dostoevsky declared it to be "flawless as a work of art." His opinion was shared by Vladimir Nabokov, who especially admired "the flawless magic of Tolstoy's style," and by William Faulkner, who described the novel as "the best ever written." 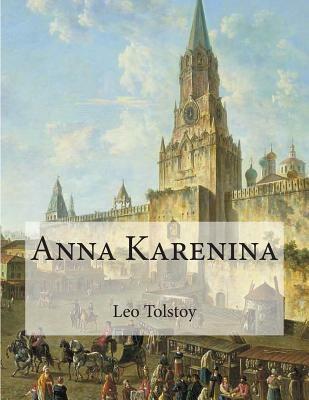 The novel is currently enjoying popularity as demonstrated by a recent poll of 125 contemporary authors by J. Peder Zane, published in 2007 in The Top Ten, which declared that Anna Karenina is the "greatest novel ever written.